You know you need content – and probably more this year than ever before. But how do you organize your internal personnel to get all that content created, amplified, and measured? According to our friends at RunDown there are 6 ways to do it. They recently published their 2016 Content Report, based on a survey of 370 content and digital marketers. You should definitely read the whole report (summary infographic below) as it’s chock full of interesting findings about what technology content marketers are using, how they do their work, and their biggest challenges. 100% dedicated to producing content across all digital channels. Reports to a senior exec responsible for all content. Content production is part of a larger group like advertising, PR, marketing, and has little or no personnel dedicated fully to digital content. Dedicated team that produces all online and offline content and creative. Small, in-house team of strategy leaders that relies on external, agency resources to execute content creation. A cross-functional team that leverages social, search, and other data to drive online content production in real-time. Channel specialists (email, social, web, etc) work in different departments, reporting to different senior execs. 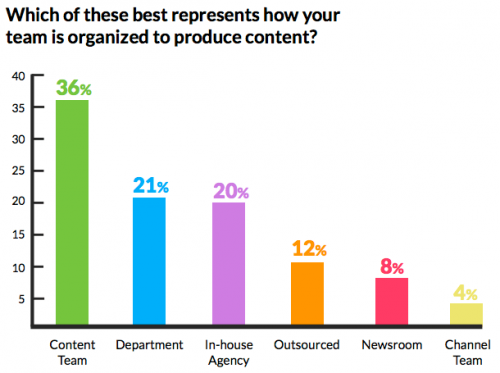 Today, Digital Content Teams are most common, with 36% of survey respondents using that model. 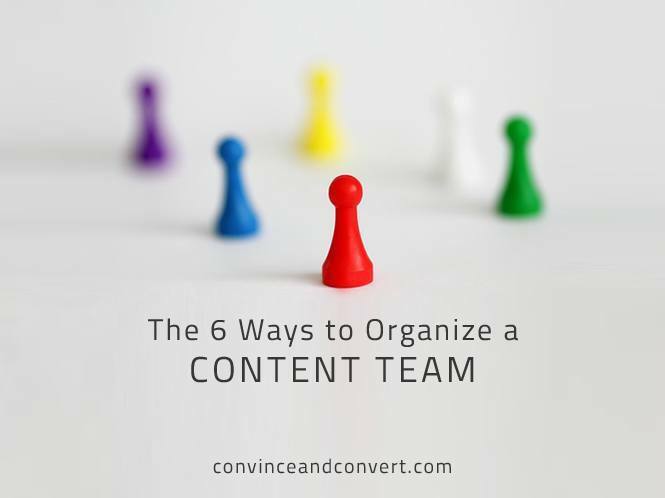 Channel Teams are the least common, and that’s probably good news as it’s much harder to collaborate and integrate content using that structure. Which model do you use? Leave a comment below and let’s discuss. Please also enjoy this infographic that summarizes the complete study, but definitely take the time to read the whole thing.